Honestly, the person who decided that women are more attractive when hairless must have been a man. Not to offend any male sensibilities, but the measures women have to go through to get flawless, hairless skin could really rival any medieval method of torture, so there’s really little doubt that all this torture is self-inflicted by choice! Removing body hair isn’t a novel concept. The practice can be traced back to our ancient ancestors from thousands of years ago, and has remained till date, for better or for worse. However, what did change are the methods that could be used to remove hair. We have long evolved from using seashells as tweezers and the modern woman can choose to wax, shave or epilate. Let’s take a minute to talk about the three options, shall we? Hot wax or sugar smeared on your arms and then painfully ripped off using cloth or plastic strips doesn’t just sound painful, it is quite painful. Waxing can also result in bumps on your skin due to the force applied when pulling out your hair, causing a permanent rash-like texture to your skin. Shaving is notorious for its ability to cause rashes and razor bumps. At a time when it seemed like women worldwide had to accept rough skin as a result of removing hair, epilation arrived like a godsend. This doesn’t go to say that epilation isn’t painful, as there’s nothing painless about rotating tweezers pulling your hair out from its roots. However, epilation is definitely less painful than waxing and protects your skin against rashes much better than shaving, making it a popular hair removal choice. And to make things even better, we have for you an article which tells you how you can further minimize the pain from epilation. If you’ve only ever shaved before, making the switch to epilation can hurt in ways that no polite words can describe. 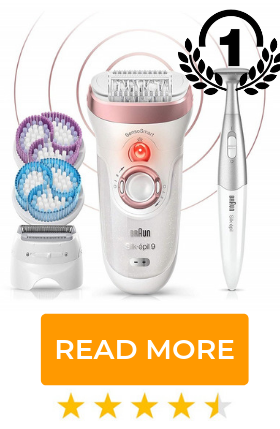 But before you decide to get rid of your epilator and go back to shaving, you should definitely consider the fact that epilators keep your skin much smoother than shaving and waxing ever could. 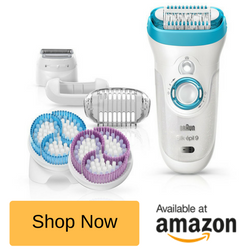 Not only are they gentler and more efficient, they come with different tools that let you shave different parts of your body and result in slower and less noticeable hair regrowth. Taking a shower with hot or warm water before you epilate can do wonders for you, as it opens up your pores and makes hair removal easier. 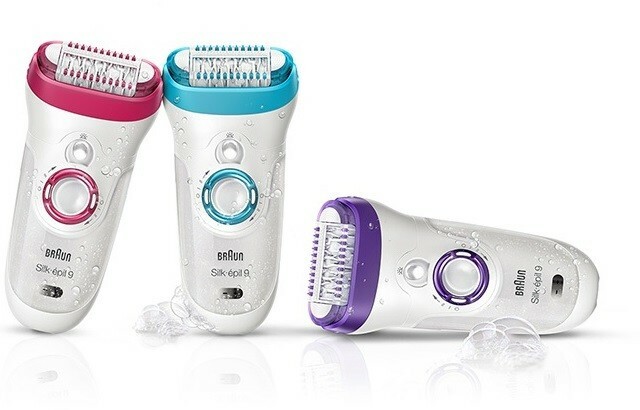 In case you have an epilator that also works when wet, don’t hesitate to epilate while in the shower (but not while it’s running) or while soaking in your tub, applying shower gel or shaving foam on your skin as well as your epilator’s head. The shower gel or foam prevent your hair from sticking to your skin and the warm water reduces pain. Exfoliation helps remove dead cells, resulting in lesser ingrowth of hair as well as lesser clogging of your epilator. You can exfoliate using scrubs, gloves or homemade exfoliators, such as a pack of lime juice and brown sugar or even just salt! Exfoliation also reduces the oiliness of your skin, making hair less prone to flattening and sticking to your skin. Tightening your skin while you epilate makes it much more effective and painless. Pull your skin taut with one hand and epilate with the other. You can even squeeze or pinch hard-to-epilate areas to get rid of stubborn hair. While working on your underarms, just make to sure to lift your arms above your head and stretch as much as possible. Epilators with a high number of tweezers (72 is the maximum limit) are less painful than those with a lower number of tweezers, as they reduce the number of times you need to go over your skin to ensure that all the hair is removed and thereby reducing skin irritation. Also, a wet and dry epilator (as opposed to only dry) makes the process much less painful as you can epilate while relaxing in the tub. A Few Other Important Things! Wax: We’re talking about the verb, not the noun. And before you start making quizzical expressions, let us tell you that if you’re someone who has shaved your whole life and want to move on to epilating, waxing once before you epilate saves you a whole world of pain. This is because hair then grows back unevenly, meaning that you won’t be epilating all your hair at once. The hair will also be much smaller, making it much less painful. Don’t Use Cooling to Numb the Area: Cooling your skin with an ice cube or ice pack before epilating can be counterproductive as this tightens your pores and results in hair breakage at the skin surface. Instead, you could try over-the-counter numbing creams or painkillers, 45 minutes before epilation. Trim Your Hair: Epilation not only works better on short hair but is also less painful. Epilate Post “Those Five Days”: Your pain threshold is at its lowest while menstruating. Wait out “Aunt Flo’s visit” before epilating. Ice After Epilation: Icing or applying cool aloe vera gel after epilation helps soothe your skin. Using a cooling moisturizer is also a great idea. Apart from these, you could also try avoiding caffeine in any form on the day of epilation as caffeine makes you more sensitive pain. Also, find a distraction. This can be in the form of the latest “Game of Thrones” episode or even just having a friend around who you can talk to or who can help you out. Oh, and remember to breathe. Funny as it may sound, we all have a tendency to hold our breaths while feeling pain, which only serves to tense us up even more. So relax by breathing to make your epilation go smoother. We’ve all been a victim of painful hair removal. Luckily, these few tips have proven to be really efficient, reducing pain by 30-40%. If you still find the pain a little too much to bear, find a good epilator with an inbuilt massager and an efficiency cap. But remember, there’s no such thing as an absolutely painless epilation. All you can do is reduce the pain. 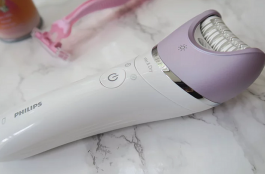 So while you may sometimes have to grit your teeth and get over it, epilators can actually be a friend, and like all friendships, comes with both the sweet and the spicy, but can end up being your best friend in the long run.